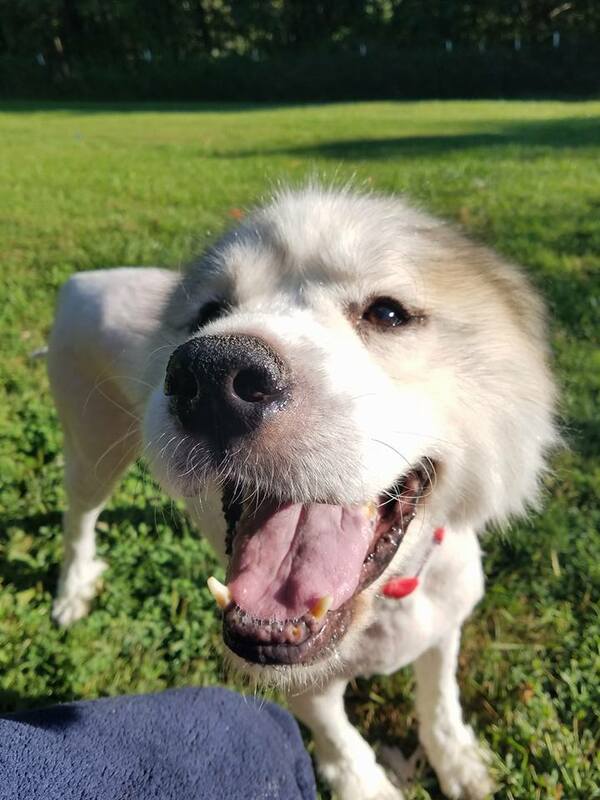 When rescuers first laid eyes on Lazarus the dog, his fur was so overgrown he looked more like a wooly sheep than a dog. He had been trapped inside a barn for who knows how long and the barn was so filled with feces that the door was blocked. The dog’s rescuers were two dog groomers who had been called by a concerned neighbor who told them that Lazarus’ owner was terminally ill and had asked for Lazarus to be removed. 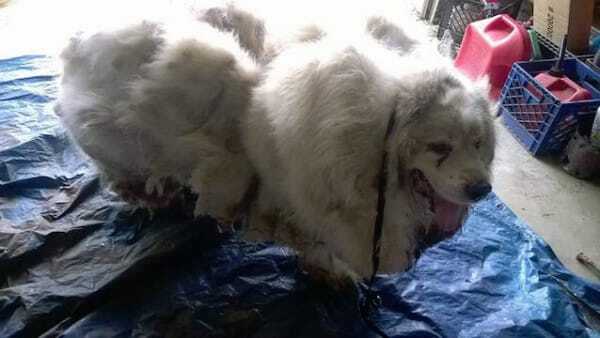 After freeing Lazarus, they shaved his overgrown coat – all 35 pounds of it. 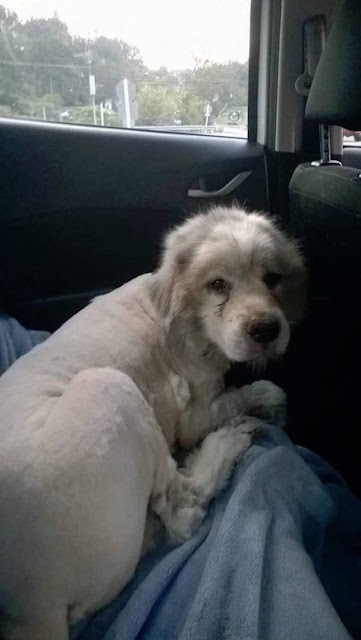 Once his heavy hair was gone, Lazarus had to get used to walking without the extra weight. Responses to "Neglected Great Pyrenees Freed From Barn And From 35 Pounds Of Fur"
Poor, poor doggie. And what a happy smile he had at the end!! Thank heaven some one called this in. 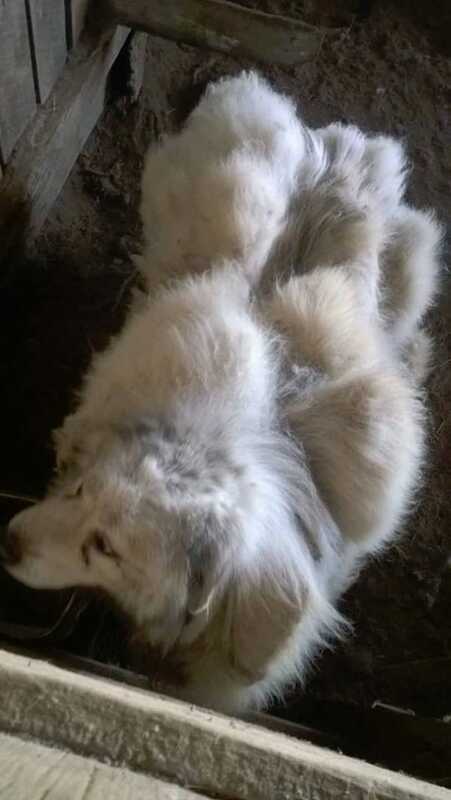 We have 3 Great Pyrenees around here and they live with sheep. 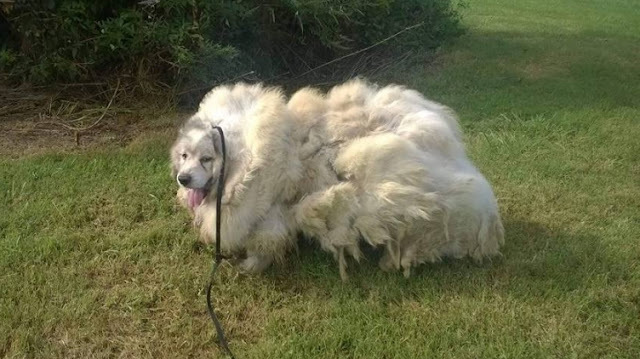 They do not socialize with people and the coat does NOT grow like this. This cannot be a pure bred. 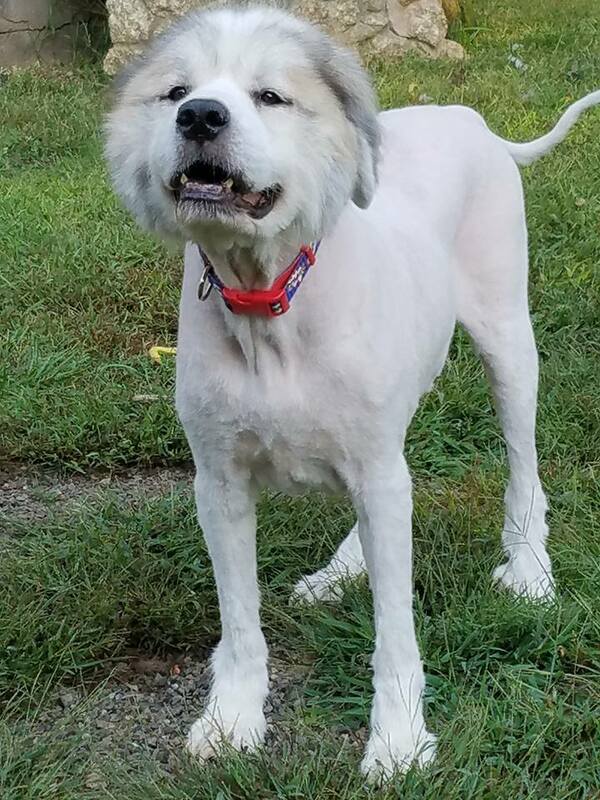 Pyrenees's coats are like St. Bernards. Only grow so long and then shed. Must have chow in this dog.